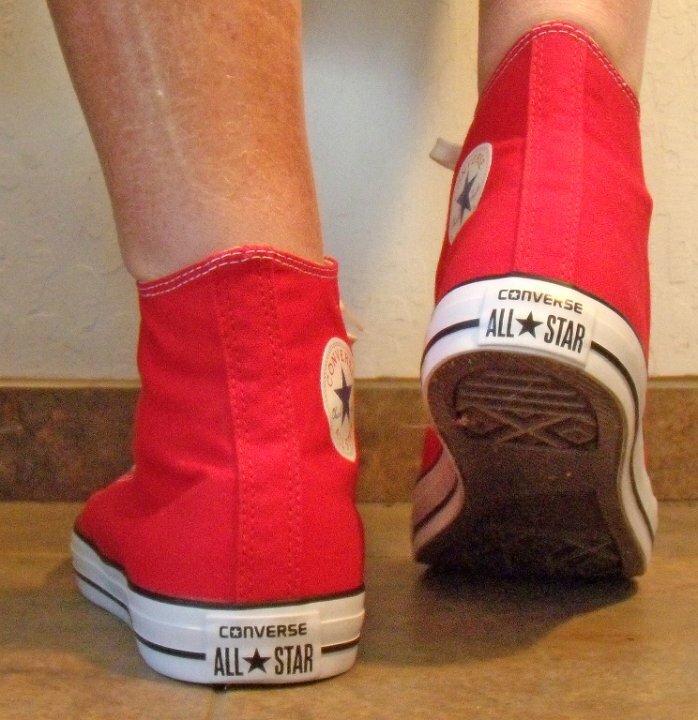 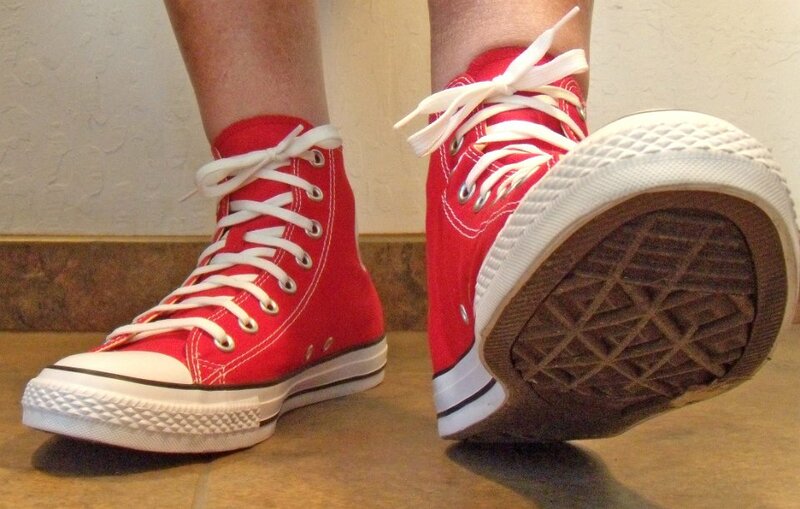 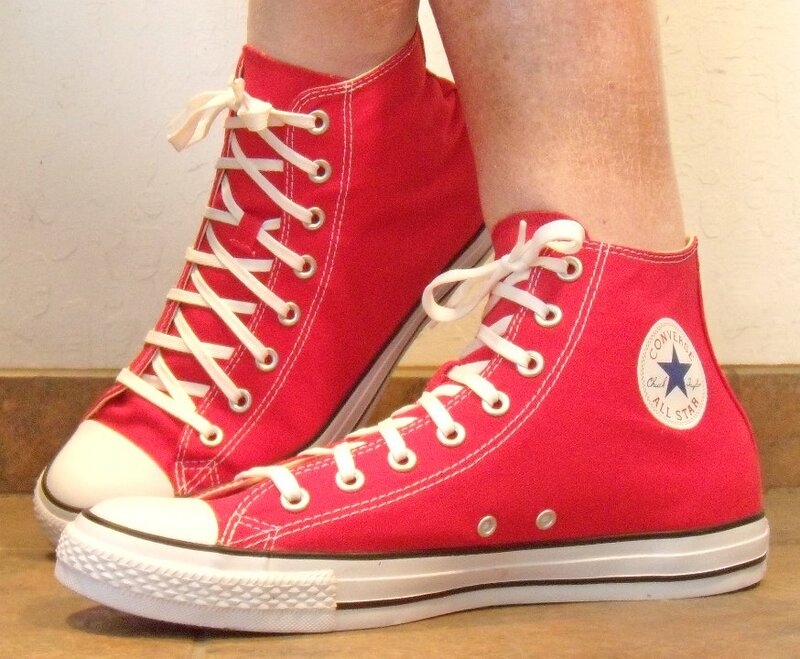 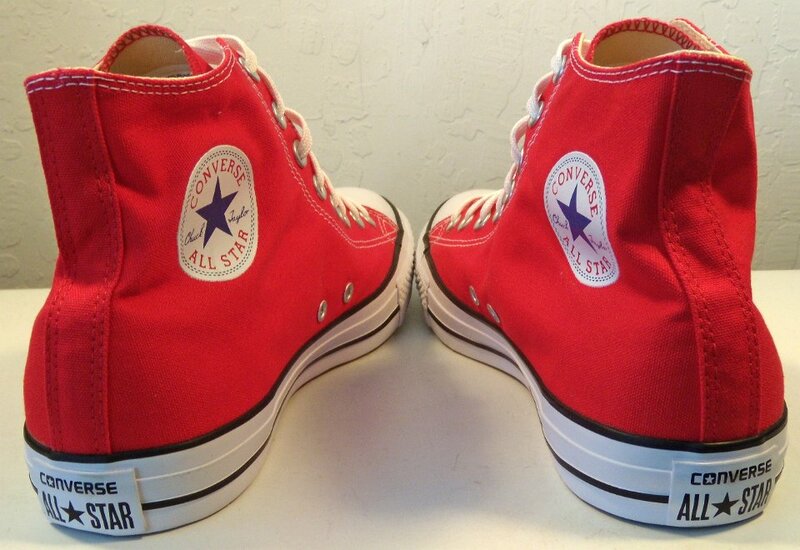 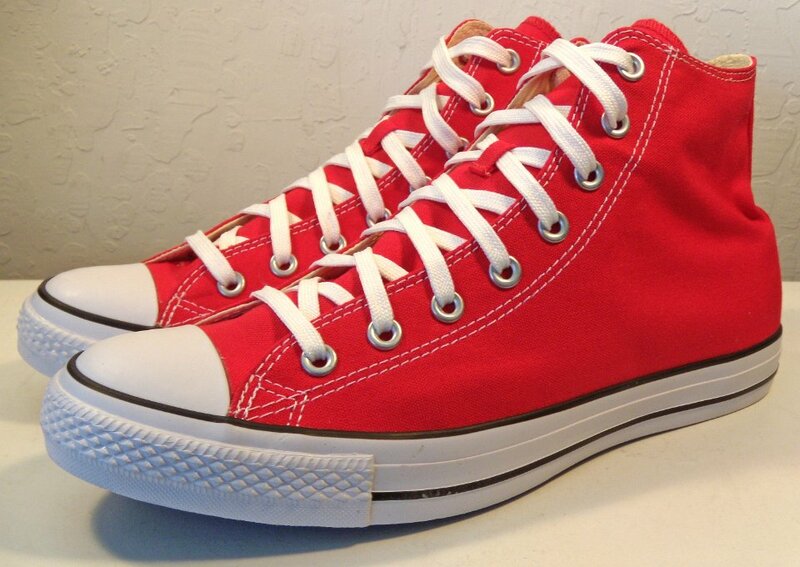 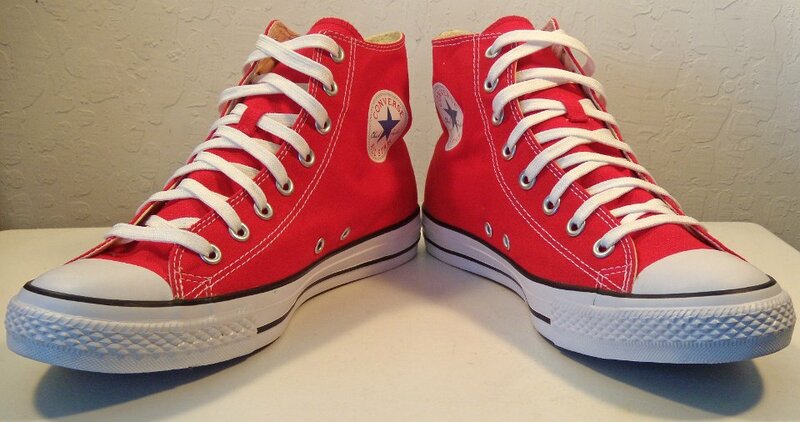 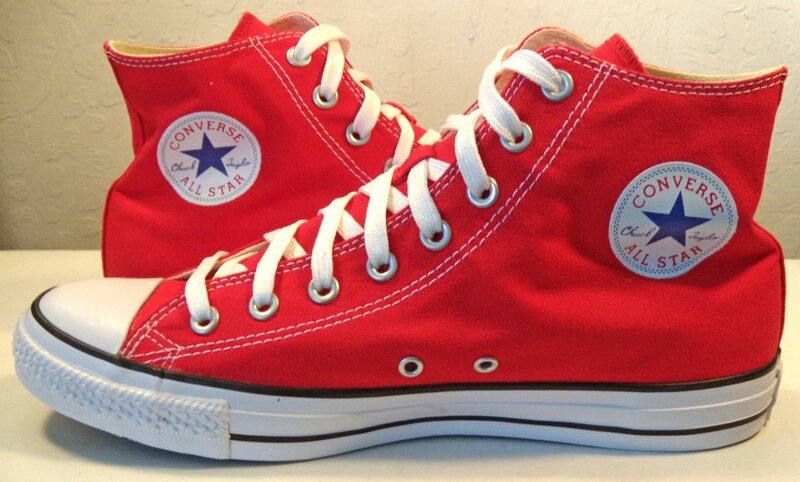 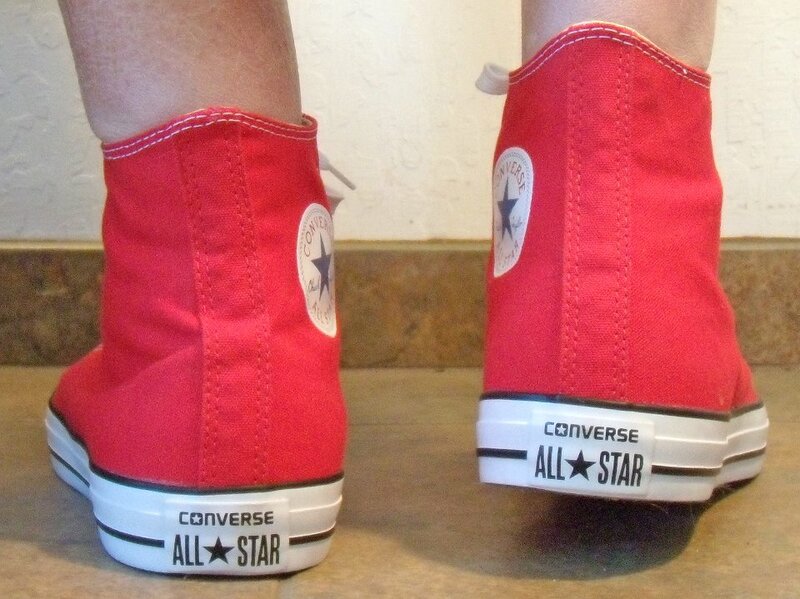 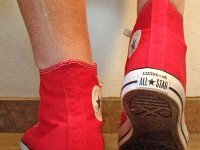 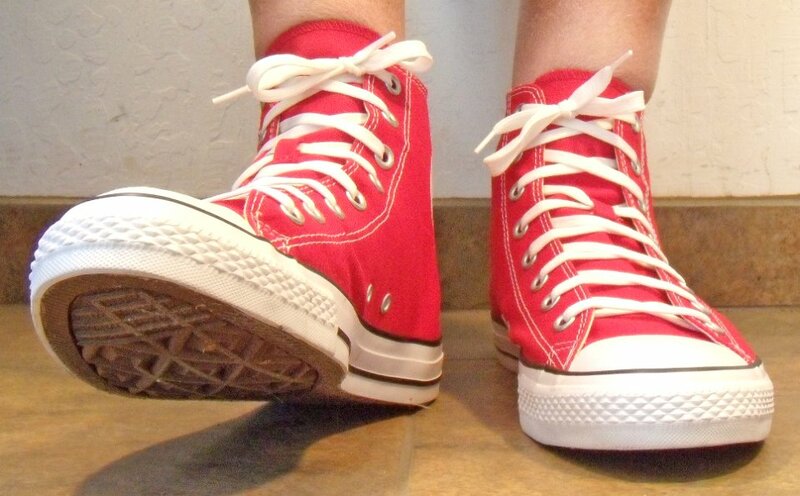 Photo gallery of a brand new pair of red core color high top chucks. 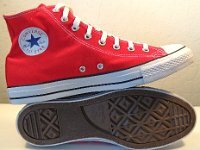 1 2017 Core Red High Top Chucks Inside patch view of a right 2017 red high top. 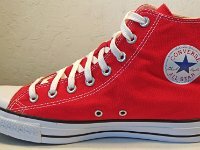 2 2017 Core Red High Top Chucks Outside view of a right 2017 red high top. 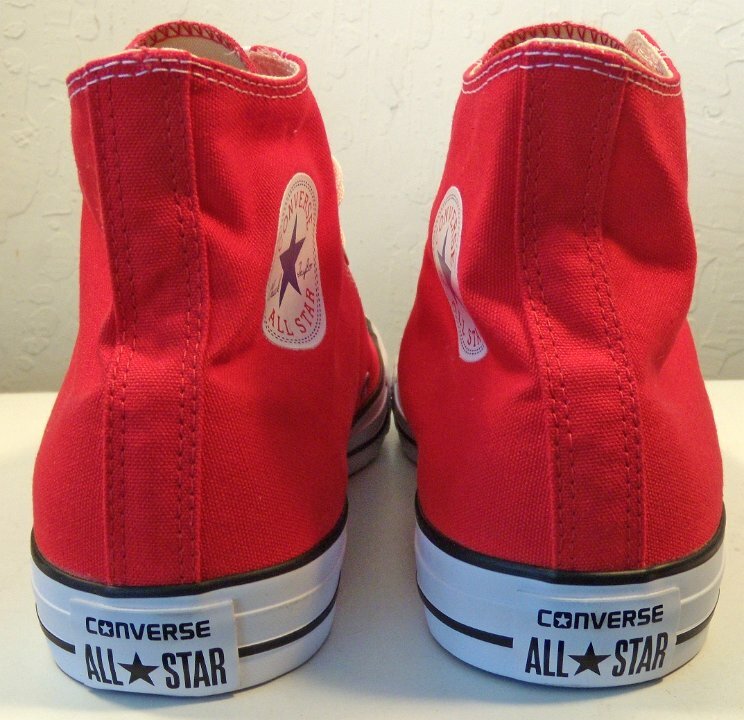 3 2017 Core Red High Top Chucks Inside patch view of a left 2017 red high top. 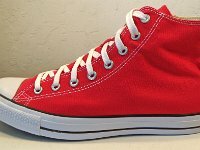 4 2017 Core Red High Top Chucks Outside view of a left 2017 red high top. 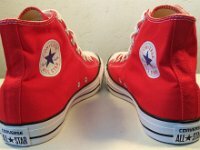 5 2017 Core Red High Top Chucks Rear view of 2017 red high tops. 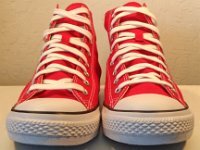 6 2017 Core Red High Top Chucks Angled rear view of 2017 red high tops. 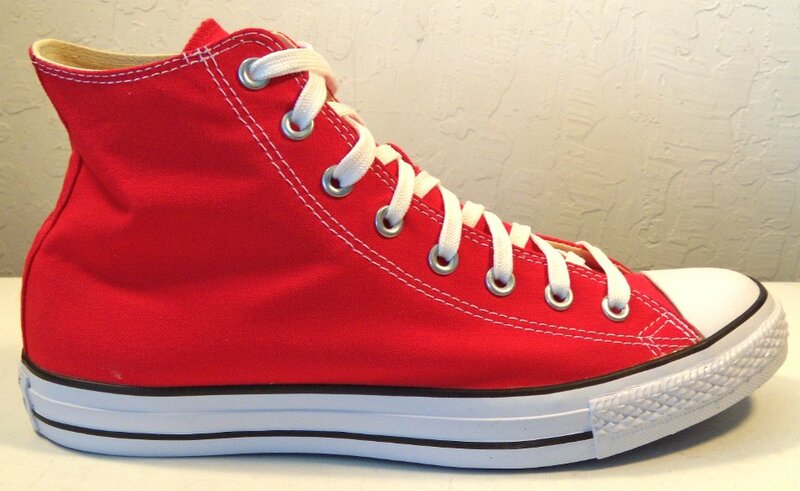 7 2017 Core Red High Top Chucks Angled side view of 2017 red high tops. 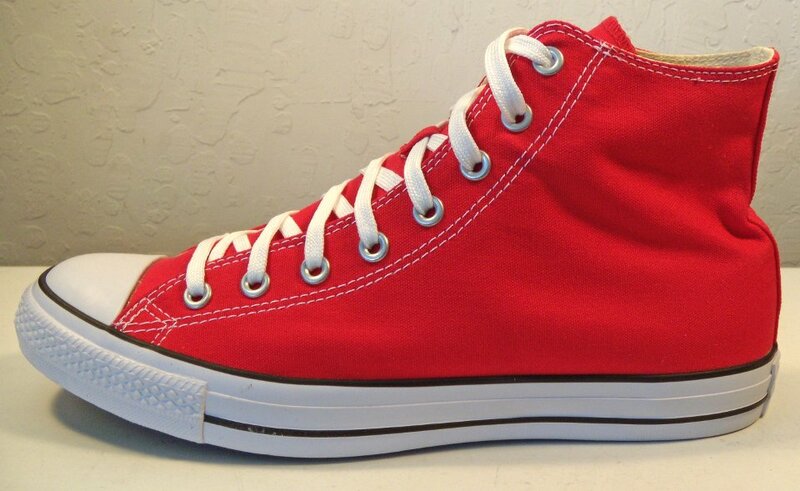 8 2017 Core Red High Top Chucks Front view of 2017 red high tops. 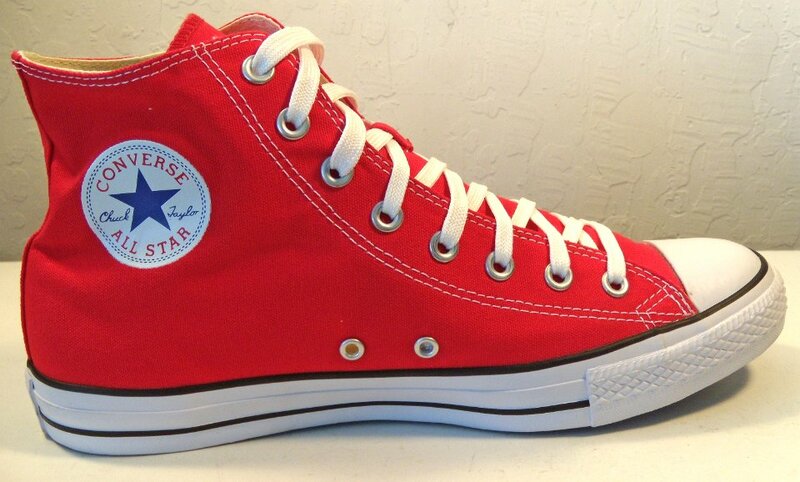 9 2017 Core Red High Top Chucks Angled front view of 2017 red high tops. 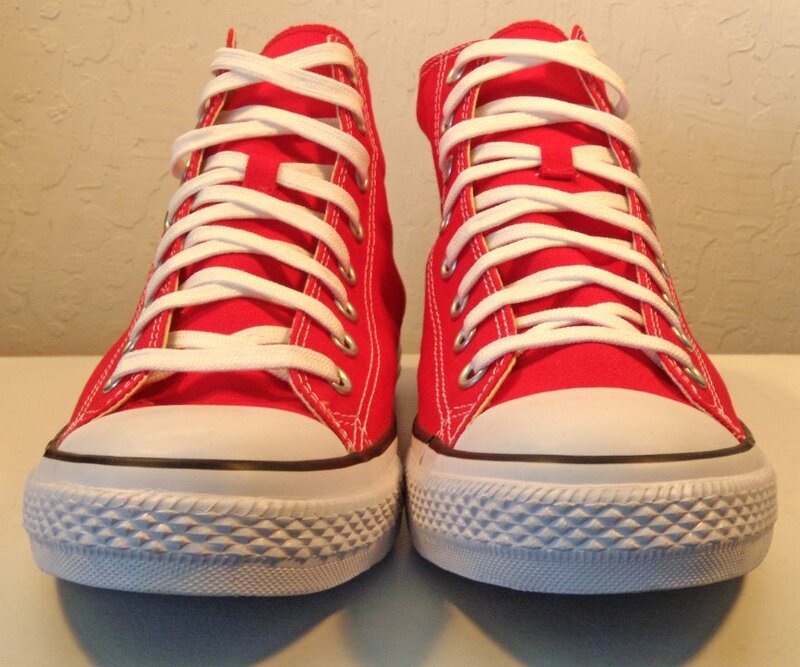 10 2017 Core Red High Top Chucks Top view of 2017 red high tops. 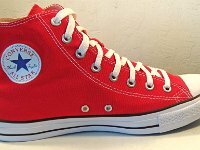 11 2017 Core Red High Top Chucks Inside patch views of 2017 red high tops. 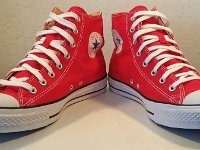 12 2017 Core Red High Top Chucks Outside views of 2017 red high tops. 13 2017 Core Red High Top Chucks Inside patch and sole views of 2017 red high tops. 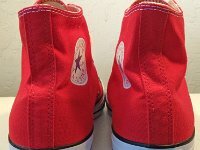 14 2017 Core Red High Top Chucks Insole closeup view. 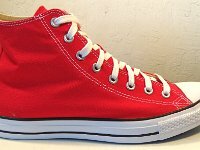 15 2017 Core Red High Top Chucks Wearing 2017 red high tops, front view 1. 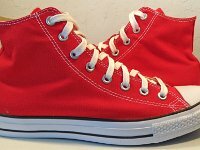 16 2017 Core Red High Top Chucks Wearing 2017 red high tops, front view 2. 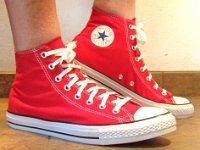 17 2017 Core Red High Top Chucks Wearing 2017 red high tops, left side view 1. 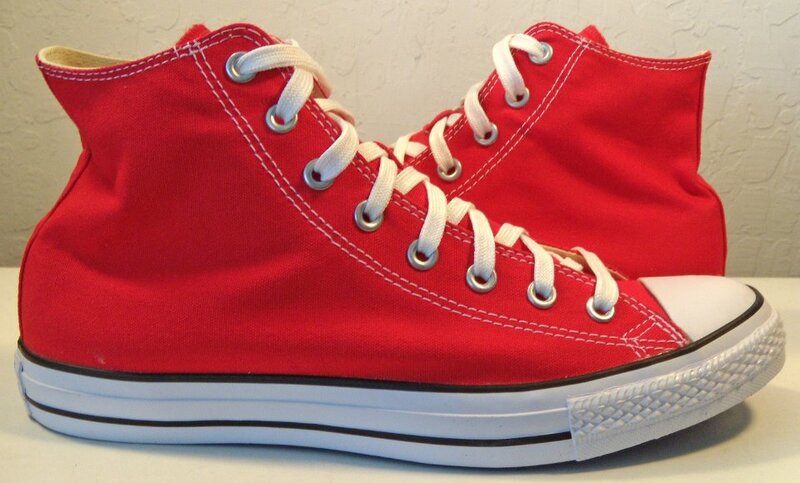 18 2017 Core Red High Top Chucks Wearing 2017 red high tops, left side view 2. 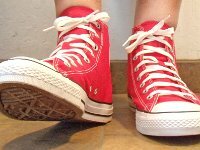 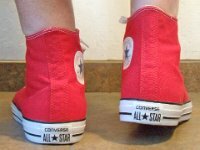 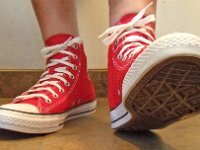 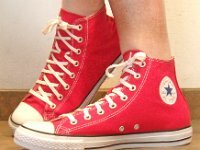 19 2017 Core Red High Top Chucks Wearing 2017 red high tops, rear view 1. 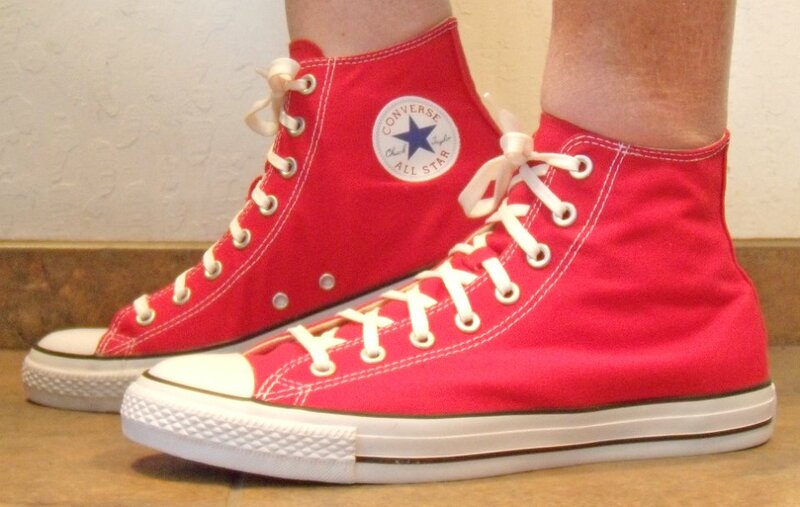 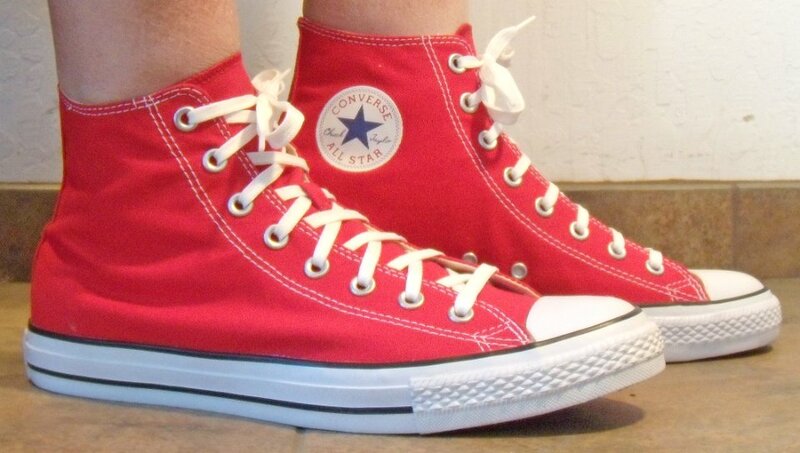 20 2017 Core Red High Top Chucks Wearing 2017 red high tops, rear view 2. 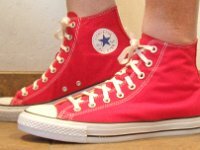 21 2017 Core Red High Top Chucks Wearing 2017 red high tops, right side view 1. 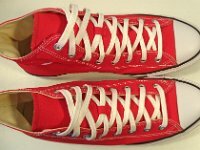 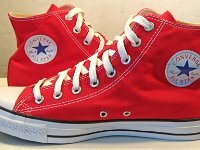 22 2017 Core Red High Top Chucks Wearing 2017 red high tops, right side view 2. 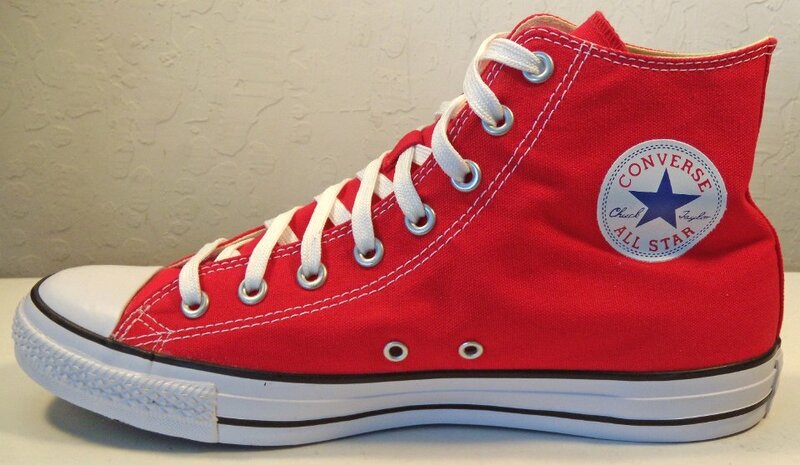 These are the 2017 version of red core high top chucks. 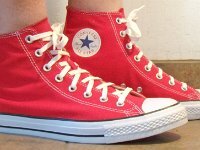 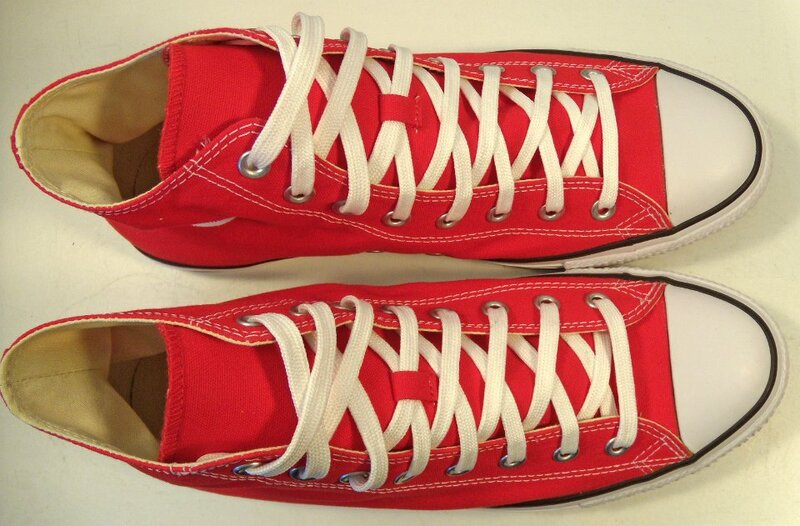 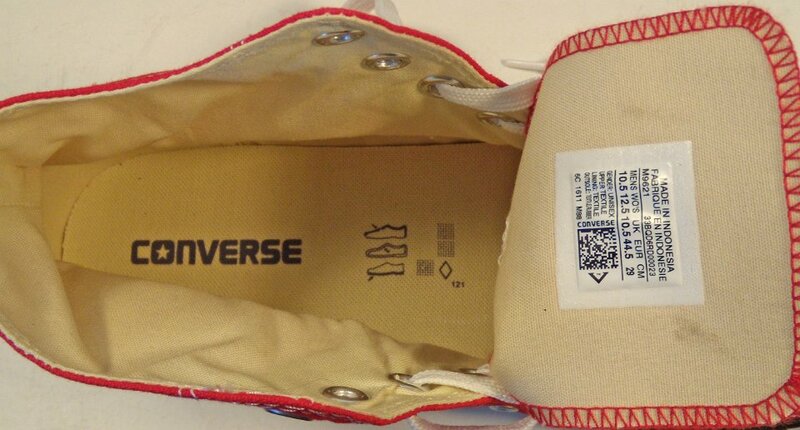 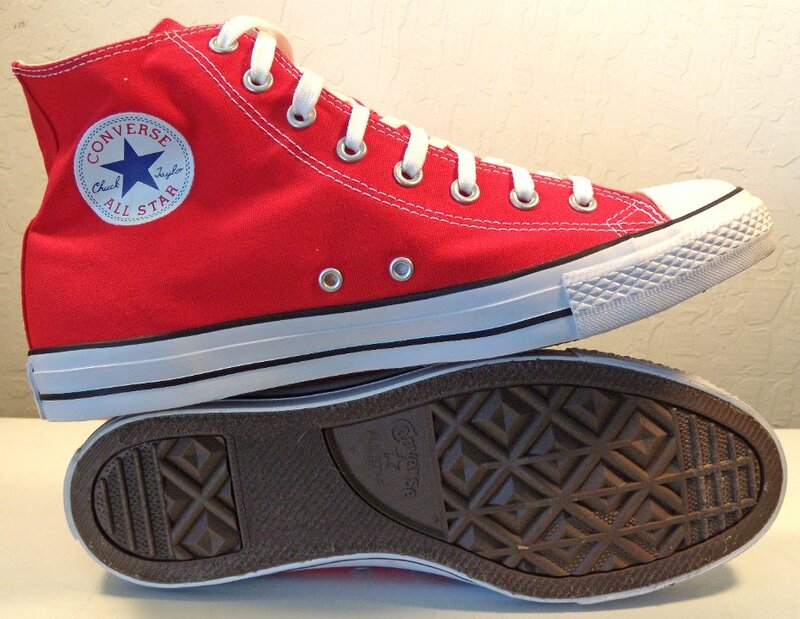 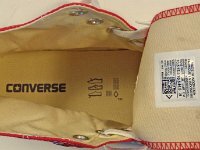 They have the newest heel patch that includes the word "Converse", the shoelace notch on the tongues of the sneakers, and no longer have the red upper eyelets, as these shoes are no longer part of the Product Red program that is now inactive.